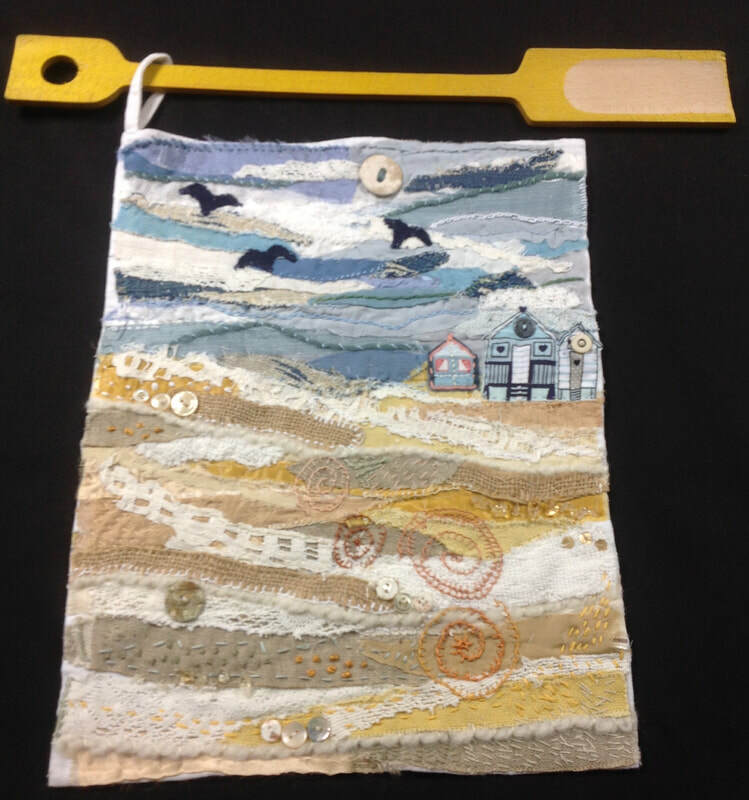 After spending time planning a layout, everyone got stitching!. 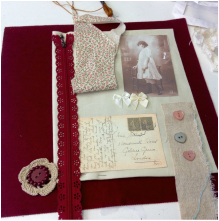 Choosing a colour scheme and adding your own fabric trims and embroidery stitches. 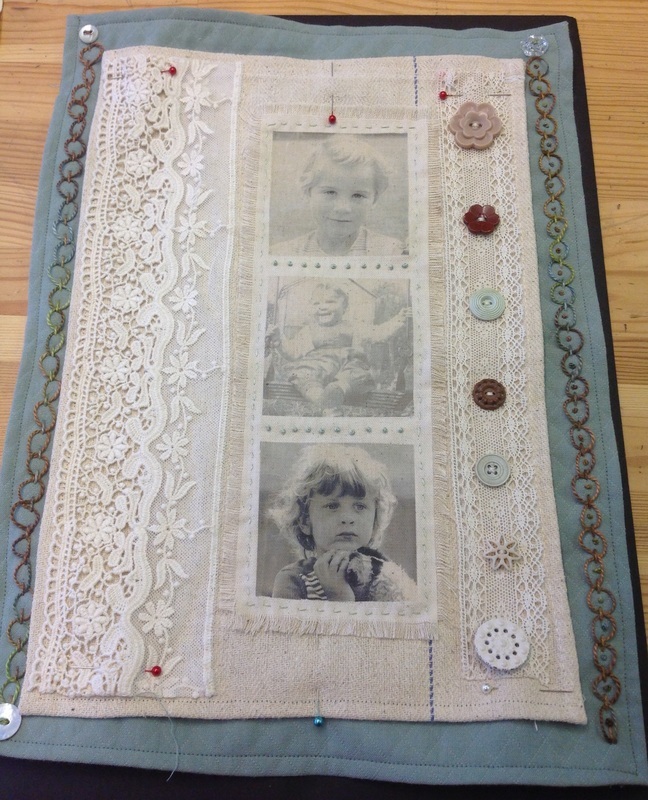 Sensitive use of colour, stitch and lace trim make these family photos memorable. Check out classes for dates and times. ​Please contact me for details. 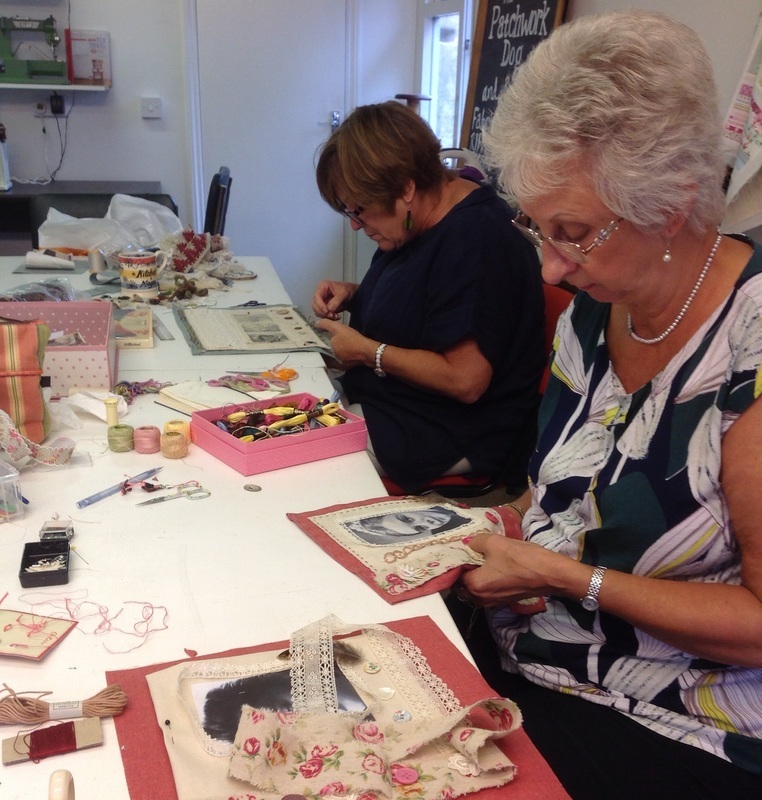 Everyone is enjoying hand stitching!